The Best Single Mom blogs from thousands of top Single Mom blogs in our index using search and social metrics. Data will be refreshed once a week.Also check out Top Single Mom Youtube Channels list for Top videos on Single Mom. 2.71 How I Single Mom It!! – Overcoming Single Parent Struggles w/ Tenacity & Faith! 2.80 Single motherhood by choice | Wear those aprons high, single ladies! Single Mom newsletter is a comprehensive summary of the day's most important blog posts and news articles from the best Single Mom websites on the web, and delivered to your email inbox each morning. To subscribe, simply provide us with your email address. New York, NY About Blog My name is Emma Johnson and my goal is to help you build a full, awesome life as a single mom. I started WealthySingleMommy.com when I realized a huge need for community, information and inspiration for women like me: Professional single mothers. Facebook fans 21,773. Twitter followers 11,533. Noosa, QLD, Australia About Blog At Beanstalk it's all about being a single mother. Join the light-hearted conversation which includes advice, experiences and single mums assistance. Facebook fans 12,325. Twitter followers n/a. Baton Rouge, LA About Blog The Life of a Single Mom Ministries (TLSM) is a global nonprofit committed to seeing that no single mom walks alone. We provide solutions for local churches & communities to launch & grow single mom support groups. Our programs help single moms succeed in finances, parenting, and health & wellness. Facebook fans 20,925. Twitter followers 1,259. Facebook fans 4,466. Twitter followers 8,158. Sunnyvale, CA, US About Blog This blog is dedicated to help Single Moms. Get advice and resources about Dating, Assistance Programs, Parenting, Financial Aid, Education and more. Facebook fans 50,835. Twitter followers 623. Dallas, TX About Blog I'm Kaywanda Lamb. I coach single moms to be the best parents they can be while raising great kids. I provide parenting advice, resources, and training to single moms ready to transform their lives. Facebook fans 1,815. Twitter followers 2,368. Facebook fans 1,222. Twitter followers 4,189. DMV About Blog Hi, my name is Dr. Sophia Reed and welcome to my single mom blog. I of course am a single mother, a single woman over 30, and a Christian. I started this single mom blog for sophisticated moms for single mothers who want to put her best foot forward in everything she does, including her relationships, her career, her appearance, her parenting, and her relationship with God. Facebook fans 476. Twitter followers 1,768. About Blog Providing help and assistance to single moms all over the world. Our mission is simple, to create actionable information based around experiences of real single mothers to address the real societal issues that they face on a daily basis. Facebook fans 1,632. Twitter followers 32. Ohio About Blog I’m Alexa and I started this blog in 2012 as a way of chronicling my journey as a single mother trying to beat the vicious cycle of dead end jobs and paycheck to paycheck living. My blog provides creative ways to earn save money. Facebook fans 11,531. Twitter followers 3,126. Virginia, USA About Blog I'm a mom of 4 beautiful children, just living life to it's fullest. Every day is a new adventure that my family tackles. I love to create and share recipes and stories of our lives. Life is a journey and I'm glad to have my 4 kids to share it with. Facebook fans 25,182. Twitter followers 48,643. Michigan About Blog Parenting Tips, Recipes, Crafts, Disney Travel Tips, and more to help parents find fun, joy, happiness, and their sanity in the craziness of life! Facebook fans 1,982. Twitter followers 4,897. Melbourne VIC, Australia About Blog CSMC works for positive social change. We want single mother families valued in a diverse society and every child to have a fair chance. Facebook fans 1,685. Twitter followers 428. About Blog Get Financial Help, Career Guides, Parenting Advice and more at SingleMoms.ORG. Our mission is to help single mothers live fulfilling lives -- in finances, in relationships, in parenting, in living, and in health and fitness. Our goal is to help you moms help yourself and provide a better life for you and your children -- on your own terms with your own hands. Dallas, TX About Blog A Texas Mom Blog for single parents based in Dallas that offers up information on travel, health, wealth and life of the single mom. New York, NY About Blog Single Mothers by Choice (SMC) was founded by Jane Mattes, L.C.S.W., a psychotherapist and single mother by choice. She provides a network of support and information for women who are thinking about becoming single mothers, as well as for those who are in the process of trying to conceive or adopt, and those who are already mothers. Facebook fans 7,510. Twitter followers n/a. About Blog Single mother, blogging about relationships, dating, co-parenting, Feminism and a bit of random stuff on the side. Facebook fans 12. Twitter followers 1,664. Sydney, New South Wales About Blog The place for single mothers to get information and support, and to be inspired and motivated to create the happy single mother life that they want. Facebook fans 1,506. Twitter followers 28. Arkansas About Blog This mommy blog is all about how I juggle being a single mom, attending grad school, and being a fulltime WAHM. My aim for this blog is to empower other single moms to believe that single parenting is not the end of the world; it’s the beginning of an amazing (though challenging) journey. I also seek to help those who want to be WAHMs to realize that dream through mompreneur training. Facebook fans 5,094. Twitter followers 2,195. Epsom, Surrey, UK About Blog A couple of self-employed single mums who were generous enough to offer me their advice, experience and tips for success. For me, they tipped the balance. If they could do it then I could too. And so can you. So my hope is that the site offers you the same inspiration, information and support. My goal is to build a community and resource to help you find the freedom, creativity and success. Facebook fans 233. Twitter followers 1,935. North-west UK About Blog I'm Jean, a single parent mum to two daughters, aged 17 and 20. We live together in harmony most of the time. I started this blog in 2007 to write about my experience of being a single parent. Facebook fans 336. Twitter followers 5,200. California About Blog I am Amanda Carroll. I'm a single mom of three children, radio host, writer, and speaker. I work and live with my three children in sunny California. My mission is to empower single moms to lead their family well. Facebook fans 7,295. Twitter followers 1,469. About Blog Leila has created The Single Mum Diaries community of over 20 thousand women that support the cause, women from all over the world come to get support, give advice, and show a little love and kindness in those times of need or those mama days that knock you around. Facebook fans 5,284. Twitter followers n/a. About Blog This is a blog which seeks to delve into the inner workings of a single mom's mind. Bits of parenting advice from the perspective of a solo parent are spewed along the way. Facebook fans 370. Twitter followers 1,112. Facebook fans 1,877. Twitter followers 22,755. Santa Clarita, CA About Blog Single Mothers Outreach empowers single parents & their children providing hope, support, & resources so families can become self-sustaining & thrive. Facebook fans 6,582. Twitter followers 764. About Blog Hi, I'm Renee! I'm a single momma with 3 littles just blogging my way through life, helping moms, sharing my faves and loving every minute! Join me on my journey from being a hooters girl to a six-figure-earning single mom and boss babe! Facebook fans 2,174. Twitter followers n/a. Orlando, FL About Blog Nakisha Wynn is an Orlando family lifestyle blog for single working moms. This blog focuses on single parenting, self care, confidence, entrepreneurship and family fun. Facebook fans 1,058. Twitter followers 1,438. Takoma Park, MD About Blog I'm a mom crazy in love w/ my kid! My passion is to live on purpose & encourage single moms through my blog. A Single Christan Mom's Advice on Making Life Easier. Single Christian moms can find joy in motherhood when they make God their partners and put their faith in him. Facebook fans 107. Twitter followers 523. Minnesota, USA About Blog Encouraging and inspiring single moms & single dads to have faith and dream BIG! You're more than just a single parent! Facebook fans 2,261. Twitter followers 41. Columbus, OH About Blog I launched Single Mom's Ask Sara to fulfill my mission of empowering single moms to create their kickass life, rule their world, achieve their goals, prepare their kids for adulthood, and transform their families into productive and effective goal-oriented teams. Facebook fans 18,564. Twitter followers 2,611. About Blog Single moms turn to Ms. Single Mama, a single mom of a four year old son, for real and honest dating, love and relationship advice. Facebook fans 4,223. Twitter followers n/a. Philippines About Blog About life of a singlemom, few blogging and social media techniques. Sharing my Life Experiences, what I learned from them and lots of stuff. Facebook fans 1,987. Twitter followers 599. About Blog The official Single Mom CPA blog, covering financial topics for single mothers seeking financial freedom. Los Angeles, CA About Blog The joys (and desperation) of raising a boy without a man. Facebook fans 362. Twitter followers 17. About Blog The Solo Mama Project is about the process of trying to get pregnant, being pregnant, giving birth, and raising a child as a single mom. Pilipinas About Blog Gessa Condino is a blog about a single mom of 3. It talks about her venture towards single parenting and working as a full-time online freelancer. This blog focuses on parenting (health and lifestyle), freelancing, food and travel, and blog opportunity niche. Facebook fans 102. Twitter followers 1,117. Montreal, QC About Blog Young single mom blogger dealing with subjects like Travels, Money matters & Relationships issues. My mission is to help young women on their life’s journey as a guide. I’ve made many mistakes but I’ve also accomplish a lot in my young life. Therefore if you can learn some tricks from my struggles maybe this can help you on your path to greatness. Facebook fans 32. Twitter followers 16. Whitby, Ontario About Blog A single Mom making the best life for her boy! Facebook fans 1,372. Twitter followers 2,075. Bristol, England About Blog This blog is the story of my journey to motherhood, and life as a single mother by choice. An unconventional journey to parenthood, accompanied by plenty of laughs. Facebook fans 539. Twitter followers 8,603. Santa Monica, CA About Blog CoAbode provides support and services that connect women raising children alone. CoAbode was founded on the principle that two single moms raising children together can achieve more than one struggling alone. Facebook fans 2,130. Twitter followers 234. About Blog We provide high quality content, product information and entertainment to empower Single Mothers all around the world! Our mission is to be an online resource for the countless single moms who may lack a support system to raise their children effectively. Facebook fans 15,350. Twitter followers 929. About Blog Welcome to Single Mom Prosperity - a personal blog and online resource site dedicated to smart money strategies and saving tips for single mothers. The mission of Single Mom Prosperity is to help more single mothers succeed financially and build prosperous futures for themselves and their children. Stony Plain, Alberta About Blog Faith based mentoring program for single moms. Providing help looking for work, help with every day items. Provide activities for children and a time off for moms. Essex About Blog Hi I'm Veena V - Single Mum to a hyperactive and loving boy. I started my business Mum to Millionaire in Feb 2015 and my goodness it's been one crazy journey. I'm passionate about helping Business Mums get their confidence back, grow a business and create an incredible life for their children. Facebook fans 1,199. Twitter followers 1,853. Los Angeles, California About Blog I've started my Youtube channel to share with you my journey as a single mom, beauty tutorials, product reviews, fitness, Vlogs and more. Vernon, CA About Blog "Single Mom a Go Go" is a podcast on video from Michelle Stafford. She discusses life as a single chick. Life as a single mother chick and life as a single mother actress chick in Hollywood getting her groove on. Her navigation of it all... And all other things current, super cool and important. Facebook fans 135. Twitter followers 20,931. Brooklyn, NY About Blog Nerdy, geeky, fearless, self-motivated, and proud single mother whose mission is to empower other single moms to become masters and shapers of their destiny. Facebook fans 432. Twitter followers 7,410. About Blog SingleMomzRock provides encouragement and support through all seasons of a single mom's journey. Facebook fans 4,454. Twitter followers 3,750. About Blog At 42 and single, I became a first time mama, at last. This is my journey. Flagstaff, AZ About Blog A blog sharing the struggles and joys of parenting while crazy. Single Mom to Twin Boys. Facebook fans 549. Twitter followers 1,419. Atlanta About Blog A single mom blog, that talks about dating, parenting, and mental health. Mid-Atlantic, United States About Blog SingleMomtism is parenting/relationship blog with a focus on autism, single parenting, mid-life dating and humor. About Blog This blog is about unschooling, single parenting, and our daily lives. Mountain Ranch, CA About Blog A blog for single moms, mompreneurs, and the savvy woman. I'm Jesse Murphy, an mompreneur, and owner of Virtual Assistance For You. As a VA (virtual assistant) I offer many services from my home office including social media management, online content creation, newsletters & more! Facebook fans 384. Twitter followers 535. Silverton, Oregon About Blog I'm a single mom, sharing with other single moms how to simplify their hectic lives. A widow, mother to two beautiful daughters, working full time in mental health security and schooling at home. Facebook fans 321. Twitter followers 410. About Blog The Real Chic Life is full of life advice, fashion and beauty tips. I am sharing my own journey as a chic single mom and help other moms (single or not) live the chic life too! About Blog We are your source for single parent family travel. Find tips on family travel as a single parent including the best all inclusive vacation packages and deals. Facebook fans 411. Twitter followers 85. About Blog I was hesitant about creating “another mom blog” but felt it was important to continue to tell stories, share advice, lessons and provide some information or support for all moms out there but especially single moms living in the ever exciting and always evolving New York City. And I hope this blog will also help me to stay inspired and be the best mom I can be. 71. How I Single Mom It!! – Overcoming Single Parent Struggles w/ Tenacity & Faith! Harlem, NY About Blog I created this blog to encourage & uplift single mothers doing this alone. This journey isn't easy, so you need all the help you can get! Facebook fans 51. Twitter followers 50. About Blog Howtobeasinglemom.com is about what it means to be a single mother. This site is a forum for discussing our thoughts, dreams, and experiences. It is a resource for sharing our fears, insights, and victories. It is a safe place to support and encourage each other. About Blog I am a 26-year old working mother of a highly intelligent five-year old. Single Black Motherhood was created to share my experiences throughout my single mom journey along with tips and tricks to inspire and uplift other moms via podcasting and blogging. I'm so excited about sharing this journey and looking forward to connecting with each of you!! About Blog Coffee and Wine - Necessary To Navigate Through Single Motherhood. I am a single mom to the most amazing (I am biased of course) two year old girl named Savanna. Life with her is anything but ordinary. Brooklyn, New York About Blog I'm thrilled to be a Single Mother by Choice, living in Brooklyn with my heart's desire, my precious little girl, Calliope. Oh, I work as a pediatric nurse practitioner in a school based health center. That's pretty fun, too. Kingston, Ontario About Blog My desire is to encourage you in this new journey. I called this blog Single Mom Survival Success because I know without a shadow of a doubt, you are going to make it , not only survive, but have great success. I want to encourage you along the way. New York, NY About Blog This is a blog discussing all the fears and fabulousness of being a single mom in NYC. We chat about things to do in the city with kids, fashion finds and style-files for women and children, and, most importantly, all the ways to persevere, push pass doubts, walk by faith, and go get your dreams! Facebook fans 1,230. Twitter followers 5,215. Denmark About Blog If you’re considering or trying to become a mom (solo), you’re in the right place! Get updates from Happy Solo Mom authored by Signe Fjord. Facebook fans 316. Twitter followers 1,885. 80. Single motherhood by choice | Wear those aprons high, single ladies! About Blog Get updates from Single motherhood by choice. Fruita, CO About Blog This is our story. The best I know to tell it. Facebook fans 548. Twitter followers 354. About Blog Hi, my name is Becky Williams. Life isn’t always easy, but that doesn’t mean we can’t survive and thrive as single moms. That’s exactly why I created this site – so that I could pass along my experiences in the hope that this helps someone dealing with the same anxieties. Colorado About Blog The Single Mom Blog is dedicated to providing single mothers with inspiration, motivation, ideas and more to help them be the rock-star parents they truly are. Facebook fans 789. Twitter followers 582. Nashville, TN About Blog I work with rock star single moms to find their perfect song. Facebook fans 139. Twitter followers 918. Los Angeles About Blog At the age of 40 I decided to become a mom, even though I was not in a relationship.... these are my stories of how I got here, the bad dates I used to have, and how it is to be mom solo. Facebook fans 152. Twitter followers 657. Phoenix, AZ About Blog I am a single mother of a beautiful child who happens to have cerebral palsy. Follow my blog about our journey together and the lessons we learn along the way. Facebook fans 121. Twitter followers 332. About Blog Graced to do life as a single mom and a lawyer. Sarasota, FL, United States About Blog My journey to adopt as a single woman. London, Ontario Canada About Blog This is my blog about whatever I want it to be about. I mostly write about single parenting, crafting, cosplaying, thrifting, photography, sewing and feelings. Facebook fans 8. Twitter followers 765. About Blog All moms like to vent about their day (good or bad) I just happen to be a single mom. About Blog My goal is to discover beauty and laughter during lifes little moments, while re-defining myself as my own person while being a single mother of three. I am a mom and so much more. I hope to touch the lives of other women and men who define themselves as more then a parent. Who are looking for empowerment of the self as well as a funny out-look on parent-hood and life's experiences. About - Hello there! My name's Kerry and I'm a twenty something year old blogger from the UK. Single mum to my 4 year old daughter Amelia and 18 month old son called Harrison(Harry). Oh So Amelia A UK Family Lifestyle blog for busy mums. Full of parenting tips + advice, kids food, crafts + activities and blogging tips. About - More Than Toast is a lifestyle blog, founded in 2009 by Digital Consultant, Writer, Single Mother and one-time swimwear model Alice Judge-Talbot. This blog is here to record the highlights of my little family’s life so I will have lots of wonderful memories to look back on when I can’t remember much. About - Mum in a Nutshell is a lifestyle blog. You'll find homes, healthy lifestyle, relationships, single parenting as well as recipes, review. About - My name is Sally Whittle. I’m a full-time working Mum, and happily single parent. I live in Lancashire with my 11-year-old daughter, Flea, and our West Highland terrier, Teddy. I started this blog in 2009, as a place to capture the little moments in our family history. Eight years later, it’s still here, still capturing moments. 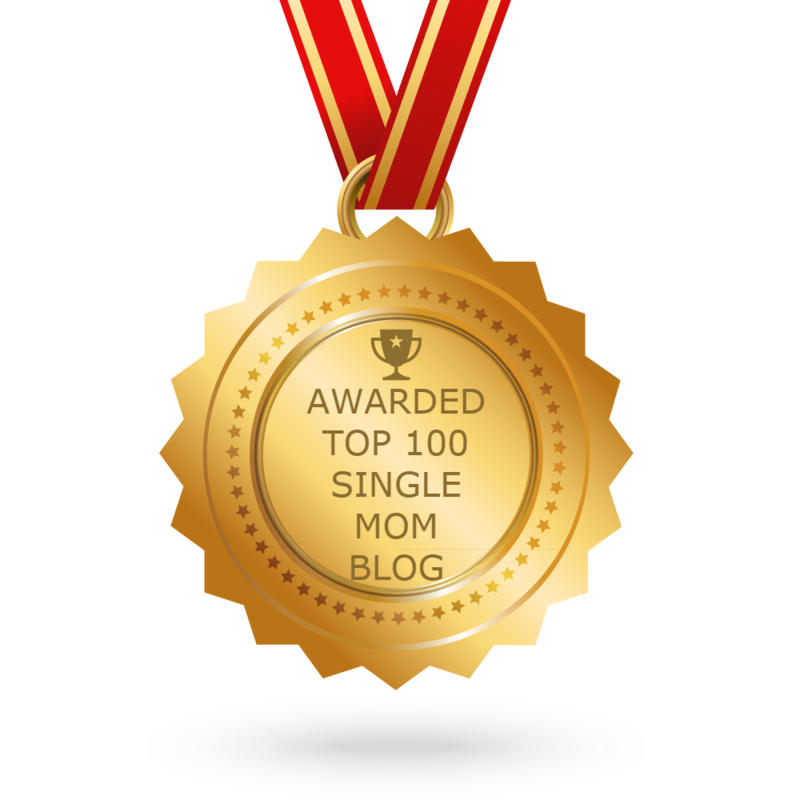 CONGRATULATIONS to every blogger that has made this Top Single Mom Blogs list! This is the most comprehensive list of best Single Mom blogs on the internet and I’m honoured to have you as part of this! I personally give you a high-five and want to thank you for your contribution to this world.